Poetry uses the Left Brain: Creative Writing, and Research? Writer’s Workshop: Effective Peer Feedback. While this assignment was inherently about “creative writing,” it met many of the Core Curriculum Standards while also engaging students enough to create some of the very best writing and research I have seen in a classroom. Some of her students’ work literally gave me chills. I would love to post it here, but alas, I am not able. I do have many of them recorded and can show them to any interested teacher in the district. CCSS.ELA-Literacy.W.9-10.3 (Substandards A-E). Write narratives to develop real or imagined experiences or events using effective technique, well-chosen details, and well-structured event sequences. From going through this process, I think I learned how assessing and teaching the skills in the standards can be a rich, creative experience. It also confirmed for me that students are willing to do amazing work and put in the hard hours if the task is worthwhile and engaging to them; the concepts of rigor and relevance really are entwined. Overall, I would say working with Eneix and her students was one of the most rewarding and enjoyable experiences I have had thus far as a coach. Eneix was willing to take a number of risks in the classroom with me- which is not an easy thing to do. In addition, because I was in her classroom for a longer period of time, I felt I really got to know her style and her students; it became a true “co-teaching” experience. I can define and identify speaker, occasion, audience, purpose, subject, and tone in the context of text analysis. I can analyze texts (in this case speeches) to better understand the author’s message and intention. I can evaluate the effectiveness of a piece of writing (or speech) based upon these factors. *On an additional note, we added some time for reflection at the end of the class period, prompting students to consider what they had learned from examining another group’s work. This was very successful. While both Melanie and I liked the lesson, activity and materials quite a lot, we both agreed that more time would be needed to really flesh out the details of the process with students. For example, we only filled out three sections of the SOAPSTone instead of the whole thing. In addition, they only rotated once to see another group’s work. Ideally, they would comment on two group’s work and fill out the whole SOAPStone. Then, we would have them go back to their own paper and revise the notes sheet to reflect what they had learned. On a sub-note, we did try grouping homogeneously by ability level based upon a formative assessment. We were not sure how well it worked for this particular activity. 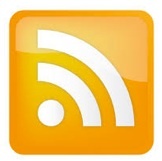 I recently learned what an RSS feed was. According to Press-Feed.com, an RSS (“Real Simple Syndication”) “is a content delivery vehicle.” A “feed” is when the content is disseminated to an audience. Why is this interesting? You can load these “feeds” into a “feeder,” and you don’t have to visit all of the websites to get the information any longer. It is very appealing aesthetically, but it is also very user friendly. 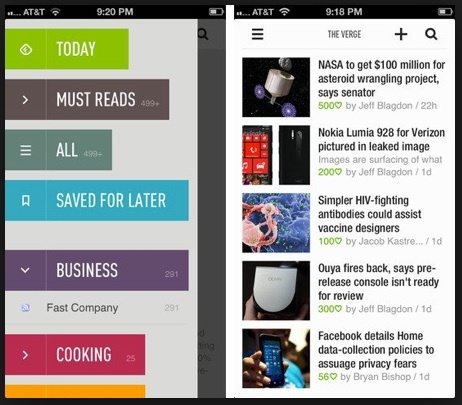 After you review the articles automatically fed into Feedly, you can mark the list as “read,” and they disappear. In addition, you can also place the articles in a “Save for Later” category by holding down on the headline until it blinks. Then, you can go back and decide what to do with them, whether it is print, post, read or email, all of which could be done from a smart phone. 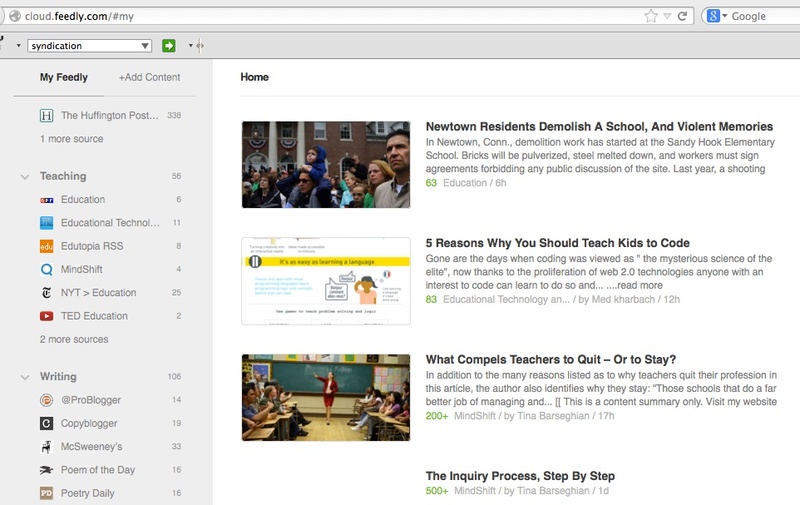 I have learned a lot of new information about technology and resources for education through using Feedly. It is a fast, easy way to process information. I had previously posted about the use of the intentional, emotional and physical arc to analyze literature. I used these concepts, with the addition of the “reader response” arc, with Susan Turley’s HTS 11 class last week to analyze “Where are you Going, Where Have You Been” by Joyce Carol Oates. I can identify how writers engage readers through their purposeful development of narrative structure. I can analyze a text using the arc structures and share my findings with a group in a meaningful way, tying my arguments back to textual evidence. We began by introducing the concept of the arcs via a Power Point and a diagnostic/notes sheet of narrative terms (see the bottom of this post for resources). Fortunately, the students were engaged by the ideas presented, and while introducing the emotional arc, the class had an interesting conversation about the possibility of a “flat” character who was also “dynamic.” Unfortunately, the lesson probably should have been stretched out over three or so days, and we tried introducing it and working with the arcs in the same class period, so we really didn’t get to flesh out the process. After the initial introduction, students were all asked to define and plot out the intentional arc first, and then also plot an additional arc (reader response, physical or emotional) over top of it. The students struggled using the arcs because no one was really sure what it should “look like” when they were put on paper. Since then, I have thought of some ideas that might make this easier. For example, plotting out five pivotal plot points on the bottom axis and then using them as anchors to graph the changes in emotional or intentional arc as they are relevant in time to those points. In the long run, the goal of the lesson would be for students to “share out” their arcs and justify their choices with evidence. We did not get this far, but I think this would be an interesting conversation because the intentional arc for each of the groups will be different. This being said, I think a debate could even ensue on which narrative arc structure is most accurate or logical. I would really like to do more work with these in the classroom. I think they are an interesting tool that has a lot of possibility. In addition, I have been fortunate enough to be in direct contact with their creator, William Kenower, and he has created some short videos for us about the teaching the intentional arc in literature. The rest of them can be viewed on his Youtube channel. Teaching can be an incredibly stressful profession these days. I have talked with a number of talented, dedicated educators recently who feel overwhelmed because of the testing, paperwork, and changing expectations in and out of the classroom. With all elements combined, the unintentional message from the world can overwhelmingly sound like, “You are not good enough” to many teachers. This is unfortunate. Teaching is a profession of passion. Every teacher with whom I have the privilege of working is in the classroom because they care about young people and want to make an impact. They work hard; they make sacrifices; they show compassion. Even in the best of times, teaching is a difficult job. The grading, interpersonal challenges, and long days all make it so. In the article “Why They Leave” on the NEA website, it states that on any given year, “one-third of all new teachers leave after three years, and 46 percent are gone within five years.” The ones who stick around do so because they have the resilience, talent, and heart (excuse the cliche) to keep going for the sake of the young people they serve. The good news for teachers is that according to health psychologist Kelly McGonical, we (humans) can change our stress responses and avoid the negative health benefits simply by changing the way we feel about stress. The even better news is that anxiety can bind us together and make us all stronger. In times of tension, we need one another to confide in; this releases positive chemicals. Furthermore, “caring creates resilience” to the emotions we experience when under pressure, and I don’t know anyone who cares more than teachers. This TED Talk shown to me by Rachel Lang (the coaches’ coach) outlines these ideas about stress and others. It is fifteen minutes, and according to McGonical, watching it could save your life. I hope you enjoy it on this Friday before you take the weekend to catch your breath, regroup, and remember all of the good things you do for your students every day; you are appreciated. In this article by Day, given to me by my husband, a director in the customer analytics area, he talks about how companies have yet to respond to changing dynamic the internet has introduced into the business world. The article discusses how industry came to be what it is today with Ford’s manufacturing model and how the individualization of today’s society has made that model irrelevant to the modern consumer in the developed world. I could not help but find parallels between this dialogue in the business world and that in the field of education today. We, too, are trying to respond to a changing landscape- and ultimately preparing students for the environment Day is predicting for the future. We, too, have more information about those whom we are serving than ever before and are struggling to figure out how to use it. We, too, know that the internet and technology are paramount to students’ success but are in uncharted territory when it comes to how we can harness, and help students harness, this power. According to Batelle for Kids, teachers spend 25% to 33% of their time on activities related to assessment.